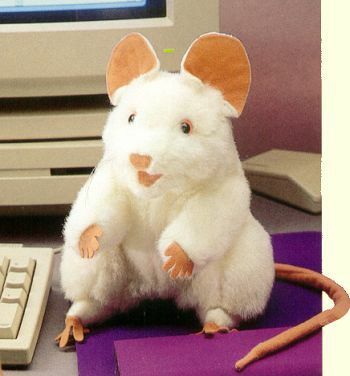 A sweet little critter from Folkmanis Puppets, this stuffed white mouse comes alive in your hands. Folkmanis puppets are premium quality stuffed animals with a special bonus - they come alive as hand puppets. For teaching, story telling, or just plain fun, free your imagination with Folkmanis!